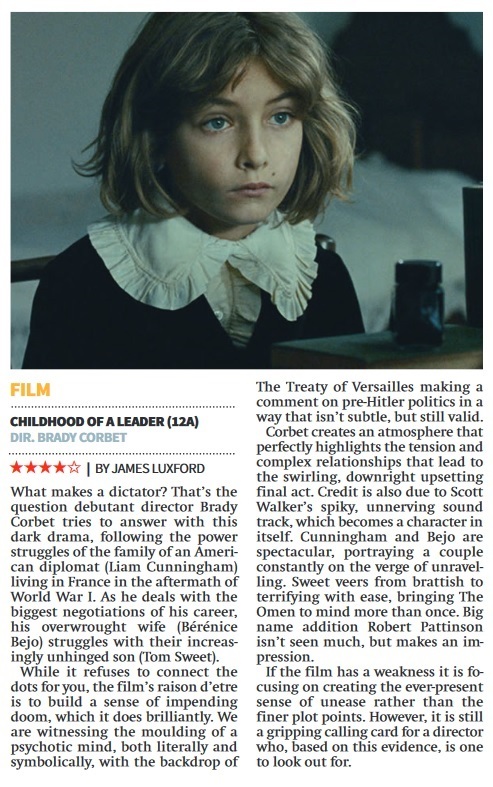 Please click any of the images above to read the corresponding reviews of “Childhood of a Leader”, “Cosmos” and “Nine Lives”, as published in City AM on 19th August. Muveez.com: “Water For Elephants” review..
“Starting strong but petering out to a somewhat inevitable end, Water For Elephants is a film that uses what it has to great effect, but doesn’t go anywhere too risky.” (Click image to read article). Posted in Movie Review, Muveez | Comments Off on Muveez.com: “Water For Elephants” review..